Everyone wants to buy a good phone and budgeted too, even though for some people budget is not a problem yet if you get a best phone in a really very good budget for which you do not have to pocket out much then where is the problem. 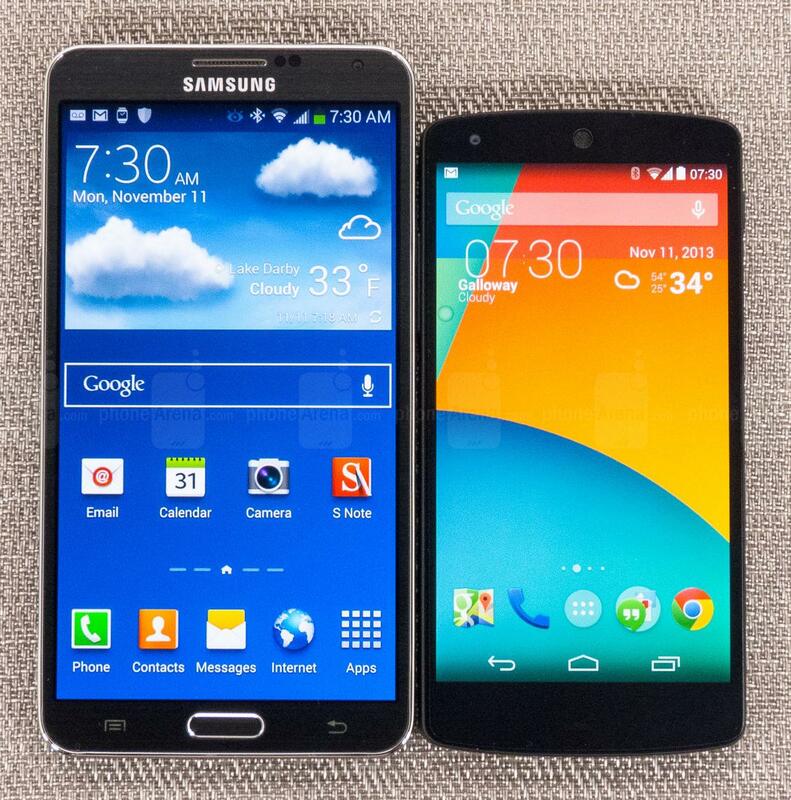 This time there is rivalry going on among mobile phones of giant companies since the launch of Google Nexus 5. Before the launch of Google Nexus 5, other phones were the kings and they have everything users want in them but when Google Nexus 5 launches, everyone gets astonished. It is the phone that gives you all with latest specifications at the mere the price of 28,999-/ for 16GB and 30,000-/ for 32 GB while on the other hand its rivals are costly. The Nexus 5 is a Google phone that is manufactured by LG and on the other hand it has the latest version of Android Kitkat. Google Nexus 5 is overall a best phone and even faster too what users look today in phones. On the gaming side it is what a mobile gamers look for. Its gaming performance is amazing even if you play heavy graphic game Dead Trigger 2. Camera performance is ok but with the latest operating system update its performance has increased at good level. Google Nexus 5 scores full points both on technical specification and on performance.